By Colin Layde | May 2, 2013. After deciding to remain as an amateur following his medal success at last summer’s Olympic Games, Belfast boxer Michael Conlon is in the midst of preparing for May’s European Championships in Belarus. 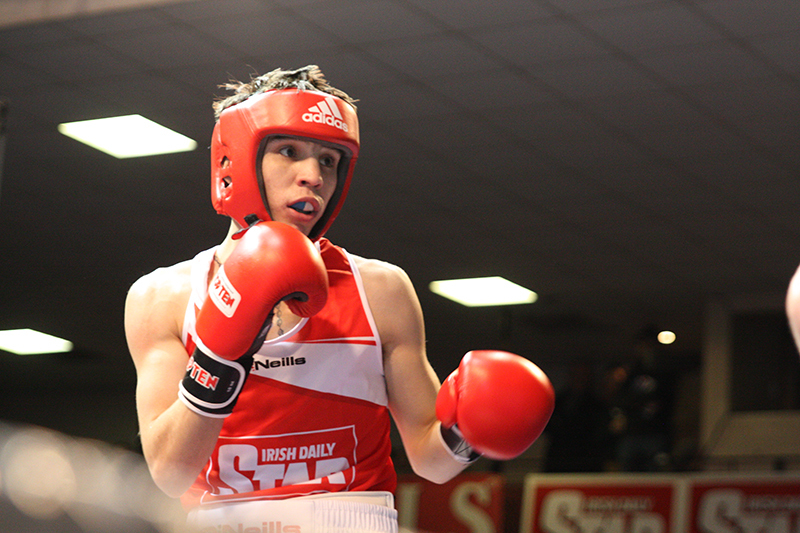 Conlon claimed a bronze medal at London 2012 and credits the unprecedented success Irish boxing is enjoying to two factors; the increased amount of financial backing from the Irish Sports Council, and each fighter’s dedication to their training. The establishment of the World Series of Boxing (WSB) has allowed amateur fighters to compete regularly around the world. Despite various improvements on the amateur scene, Conlon still sees his long-term future in the paid ranks, and hopes to follow in the footsteps of Bernard Dunne, Wayne McCullough and Barry McGuigan in becoming a world champion. Those championships take place in Kazakhstan in October and should Conlon achieve his aim and win gold, he may discard his vest and head guard earlier than he had previously expected. If Conlon and some of the other London medallists turn professional, he is still convinced that a new generation of Irish athletes will compete for boxing medals in the 2016 Olympics.